Burning NCCC Mall, December 23, 2017. Photo grabbed from Valster Huera’s FB post. MANILA – In the light of another fire that killed workers, Gabriela Women Rep. Arlene Brosas called on the Senate to swiftly pass the Occupational Safety and Health (OSH) bill which has been pending in the Senate for over a year now. The OSH Bill was approved and transmitted by the House of Representatives in December 2016. The bill was certified as a priority bill but the Senate has yet to act on it. Brosas is one of the principal authors of the measure (or House Bill 64). The OSH bill is pushing for government’s mandatory inspection in all workplaces across the country, including those located in ecozones. It also imposes stiffer penalties on employers regarding work-related deaths and injuries. The bill sprung from a spate of tragic workplace accidents in the Philippines. In the latest workplace fire, 37 of 500 call center employees suffocated to death while fleeing from the burning building. They were at work at the outsourcing office of the U.S.-based Research Now SSI located in the upper floors of the NCCC mall. The fire reportedly broke out from a furniture store at the third floor of the mall. Gabriela Rep. Arlene Brosas said that based on the accounts of the SSI employees, there was no fire alarm, fire exits were blocked, and sprinklers did not work in the SSI office at the NCCC mall. Some survivors also said they were not immediately told about the then ongoing fire. Their office is registered as an economic zone under the Philippine Economic Zone Authority (PEZA). 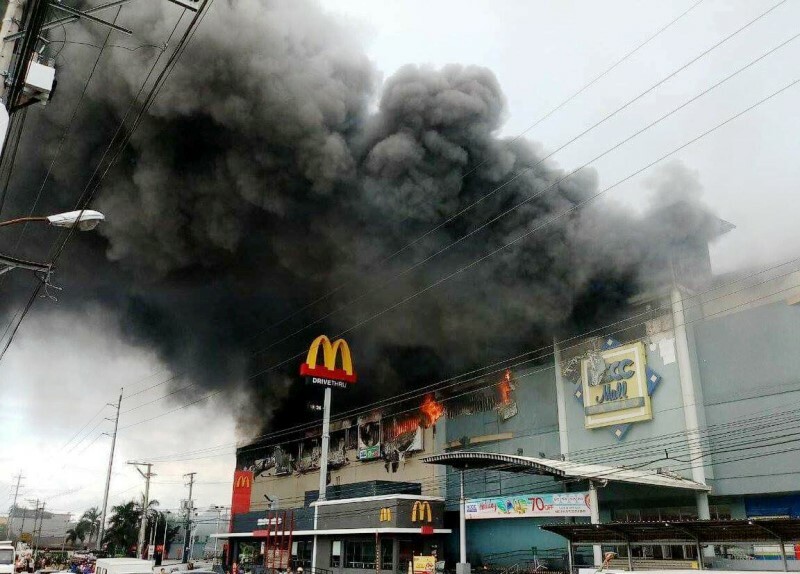 “The NCCC mall fire tragedy exposes again how PEZA-registered ecozones are violating fire and occupational safety standards right under the government’s nose,” Rep. Brosas said. She said the same incident has been observed with dire consequences for the workers in the HTI fire tragedy in Cavite Export Processing Zone and in the Resorts World incident. The government has been dispersing to regions outside of the capital the country’s $23-billion BPO industry. To encourage more BPOs, the government has been providing incentives especially if they locate in ecozones. Due largely to BPOs, ecozones in the country today are not just those in economic enclaves but also those offices in buildings and even malls that received the Philippine Ezonomic Zone Authority’s approval. Aside from workplace fire, accidents believed to have been preventable have killed or injured workers in other ecozones and workplaces. These included the accidents in Hanjin Shipyard in Subic, Zambales and in construction projects. According to the International Labor Organization Country Office in the Philippines, 17 of every 18 persons in the nation’s workforce of 38.8 million do not benefit from acceptable working conditions. The Philippine government consistently lacks inspectors and, by way of enforcing compliance on record at least, it resorted to seeking the help of the establishments themselves in evaluating its own work safety compliance. The business firms inside ecozones are also using the labor department’s voluntary compliance system and in the process, skirting strict inspections and regulations on fire safety and occupational safety, Rep. Brosas said in a statement. The voluntary compliance system has not really improved the safety conditions because as unions and workers organizations have repeatedly pointed out, the establishments will not likely flunk themselves in their own evaluation or volunteer to increase its expenses with better safety requirements. “Ilang manggagawa pa ba ang kailangang magbuwis ng buhay para gawing mandatory ang inspection?” (How many more workers have to give their lives before we make inspections mandatory?) asked Rep. Brosas. The lawmaker said the Makabayan bloc of legislators will file a House resolution seeking an investigation into the tragedy and looking on the accountability of PEZA, labor department, and even of the Davao City government.